Saskatoon, Sask. 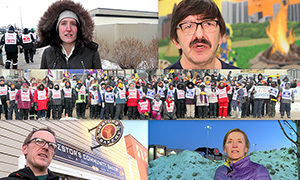 – February 8, 2019 – Striking UFCW Local 1400 members at Saskatoon Co-op are holding strong on the picket line thanks to an outpouring of support from the Saskatoon community. Members of the community are speaking out and showing their solidarity with the Co-op members, who have been fighting for a fair contract since November 2018. 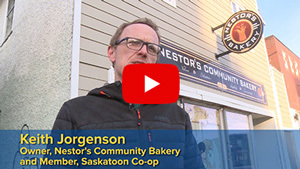 Across Saskatoon, teachers, concerned citizens, business owners, and Co-op members are standing strong with workers at the Co-op, and are calling on the company to negotiate a reasonable collective agreement that provides fair pay to all employees. 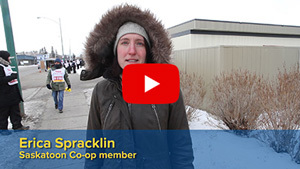 UFCW Canada Local 1400 members working at Saskatoon Co-op have been striking since last fall because the employer is pushing a mean-spirited contract that would prevent new workers from earning the same wages as other workers for doing the exact same work. The company also wants to slash the wages of many workers by $8,000 per year. All the while, senior Co-op executives have been bragging about record annual profits exceeding $1 billion. 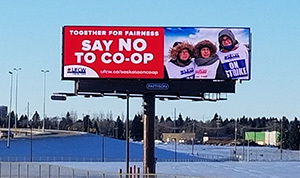 Now, members of the Saskatoon community are calling out Co-op executives for abandoning the principles of the Co-op movement – principles like fairness and pay equity. 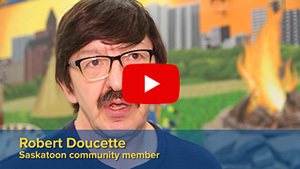 UFCW Canada recently spoke with these concerned citizens and asked them about their thoughts on the Saskatoon Co-op strike. Watch the full interviews below. 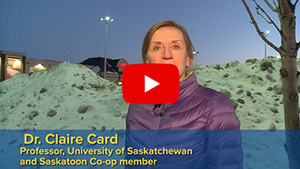 UFCW is asking activists, allies, and members of the Saskatoon community to support striking UFCW 1400 members at Saskatoon Co-op by sending a message to Co-operatives and Mutuals Canada, Federated Co-op, and the Saskatoon Co-op Board of Directors. Tell them that a fair contract means real compromise and an equitable agreement that provides fair pay for all Saskatoon Co-op employees. Act now by sending a message today!